This is my first time participating in the Gluten Free Ratio Rally where bloggers post a recipe using weight measurements rather than volume with a different blogger hosting each month. 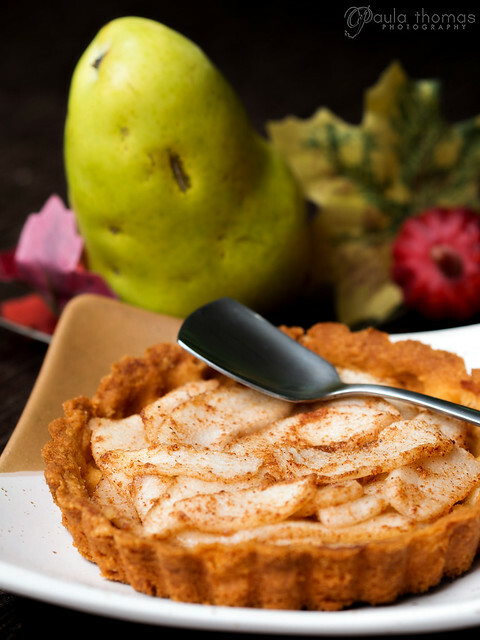 This month the theme is tarts, hosted by Charissa, author of Zest Bakery. I actually enjoy cooking using weight measurements but you can't find hardly any recipes that use weights. The main reason I bought a kitchen scale was for my soap making but rarely bring it out for cooking anything. At first I was going to do a savory zucchini tart since I have zucchini coming out of my ears from my garden but then I got some delicious Tosca pears from Full Circle and decided I wanted a pear tart. I've been eating mainly gluten and sugar free for the past year with the only sweeteners being used are small amounts of green leaf powdered stevia which is not processed. I will probably still make that zucchini tart but wanted to make this one first before the pears go bad. I made this crust recipe up myself but I'm not sure it's the best crust in the world. I was hoping for something more crispy like a shortbread but it turned out very delicate. It was so delicate that the crust crumbled while trying to get the pie weights out. I tried half with and half without pie weights and they didn't seem to make much of a difference. 1. Add almond flour, coconut flour and salt to a food processor and pulse until combined. 2. Add cold butter and coconut oil to flour and pulse until dough starts to come together. If the dough doesn't stick together, add small amounts of ice water and pulse until it does. 3. Divide dough in half and form into two balls. Wrap in plastic wrap and refrigerate for 30 mins or longer. 4. Place sheet of wax paper on work surface and flour generously with coconut flour. Remove one of the balls of dough from the refrigerator. 5. Tear off 1/3 of the ball, place on the wax paper and sprinkle more flour on top. Roll the dough to about 1/4" thick, adding more flour if needed. Place dough in a 4.5" mini tart pan and gently push in the bottom and sides of the dough. Fold the top out to the side and push down to cut off the excess dough. Repeat until all of the dough is used. 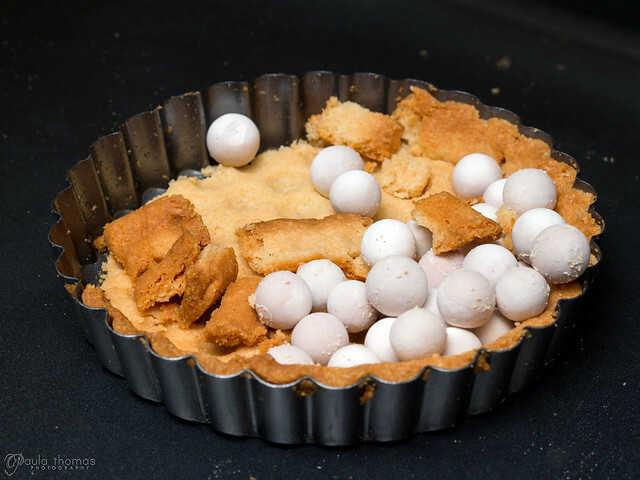 Each ball should make enough for 3 mini tarts. 6. Place tart pans with crust back in refrigerator for at least 1 hour. 7. Preheat oven to 325 if using convection or 350 if not. 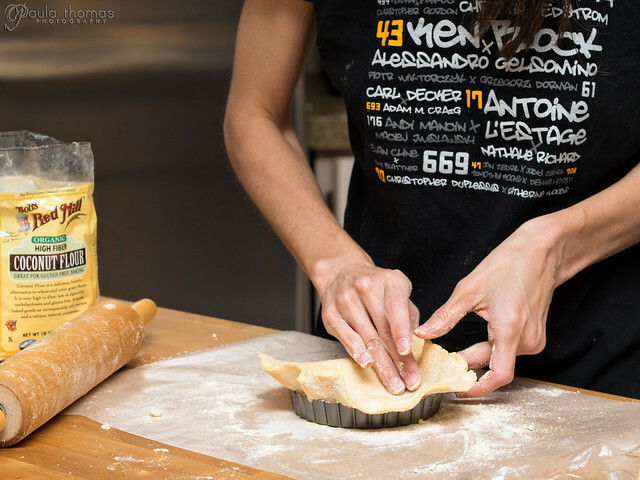 Once oven is preheated, place tarts in oven on a baking sheet. Bake for about 12 mins on convection or 15 if not. Crust should be a light golden brown. Set aside to cool while you make the filling. 1. Preheat oven to 350 for convection or 375 if not. 3. 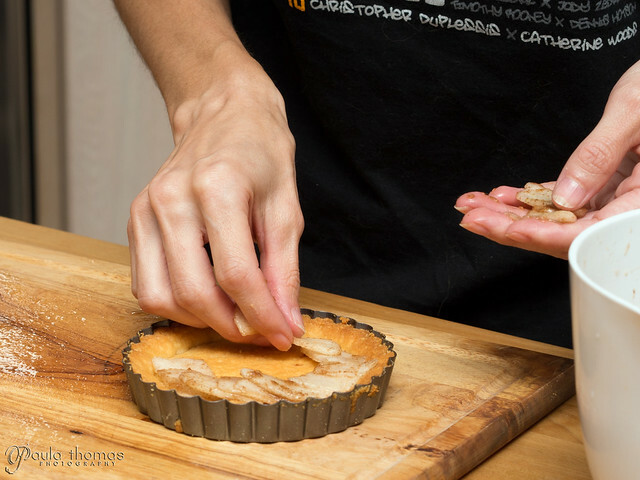 Lay pear slices overlapping decoratively on the prepared cooled tart crusts. Spoon any remaining juice onto the tarts. 4. Bake for 25-30 mins or until pears are lightly browned. Recipe makes 6 4.5" mini tarts. For your tart crust, maybe you need a bit more liquid of a binder of somesort to hold the crust together? I was contemplating a pear tart, glad someone made one! Thanks for the suggestions. I actually was going to put an egg in it originally but forgot. The crust did get more firm after being in the fridge for a while. This looks like such a delicious recipe, Paula! I haven't had a good pear in quite a while (healing a hypothyroid means only eating pear cooked), so this may be the thing to do. Welcome to the rally! Your tart looks delicious - and I love pear anything! Great post - some of the best opportunities to learn are from when things don't work out like we planned. :) Thank you for sharing and welcome to the Rally! My crust turned into liquidity goo and burned in the pan. Followed instructions exactly. It was a disaster. Sad face. Oh no, I'm sorry to hear that. I can't think of why that may happen if the crust is cooked first. My only thought is maybe the type of pears used? I think some are more moist than others. I used Tosca pears when I made this recipe.